Designed for crappie and catfishing. The Sidekick Double-Seat Base provides an instant, ideal setup for side-by-side fishing as a team, when teaching a newbie the ropes, or when you have multiple lines out. You'll love the adjustability. 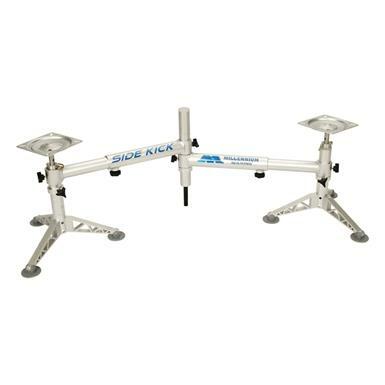 Fully adjustable for height and width, with 17" of horizontal adjustments. Height adjusts by simply moving the collar and pin to a different hole. No-skid feet won't mar carpeted, or gel-coated boat surfaces. For use with nearly all boat seats with a standard hole pattern (seat not included). Also compatible with the Shade Tree Umbrella Holder for use on extra-balmy days requiring shading from an umbrella (Holder and Umbrella not included). 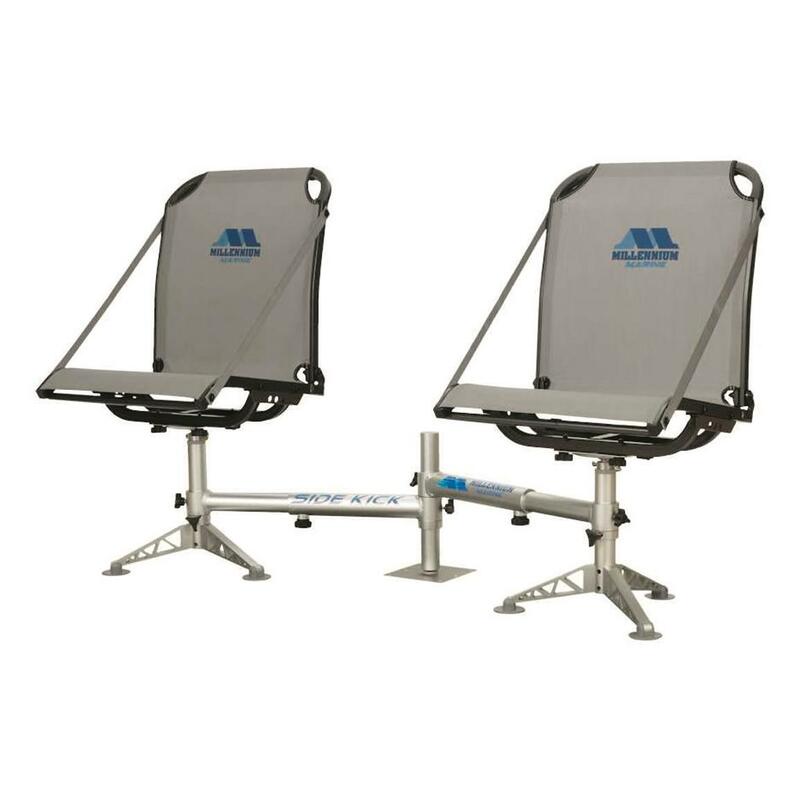 Seat Size: 23"l. x 7.5"w. x 7.5"h.
Millennium Marine Sidekick Double Seat Base is rated 5.0 out of 5 by 1. Rated 5 out of 5 by Brad from Awesome price and fast delivery The sidekick is a must for anyone that wants to fish 2 people on the front of their boat. Can't beat prices and delivery speed of SG! Love the product and love members pricing!